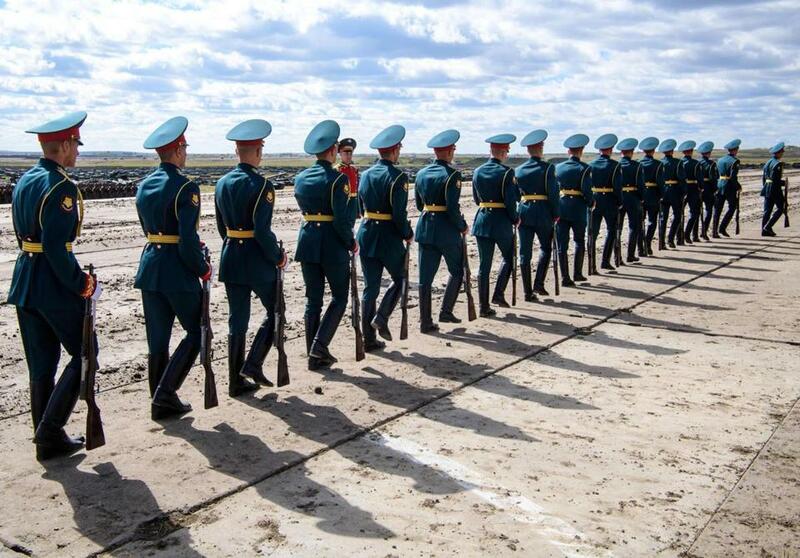 Russian honor guards participated in the country’s war games at Tsugol training ground. TSUGOL FIRING RANGE, Russia — President Vladimir Putin on Thursday attended Russia’s biggest-ever war games, which involved some 300,000 troops as well as a significant contingent of Chinese forces. The weeklong Vostok 2018 maneuvers span Siberia and the Arctic and the Pacific oceans and showcase the military might of Russia and China at a time of simmering tensions with the United States. Some 1,000 Russian aircraft and 36,000 tanks and other combat vehicles are involved. China sent about 3,200 troops, 900 combat vehicles, and 30 aircraft to join the drills at a Siberian firing range, a deployment that reflects its shift toward a full-fledged military alliance with Russia. Putin emphasized that ‘‘Russia is a peaceful nation,’’ but noted that the country needs to strengthen its military capability.